In the past, I have owned many Canon and Nikon cameras but this most recent purchase is an upgrade from my Nikon D5100. This means that my expectations for the new D5300 were very high. Surprisingly, this new model crushed my old D5100 which is now practically obsolete. 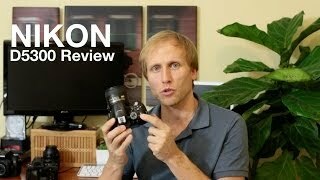 There are many other Nikon cameras that may not be as expensive but the quality will suffer. Looking at all the advancements of the D5300, the price actually seems quite low; for once, you get more than you pay for! 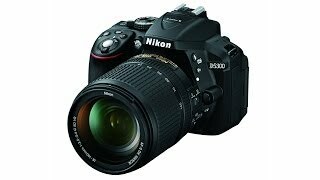 Some of the main price points for the D5300 are the image quality, focus, and GPS among other minor qualities. The most important factor when determining which type of camera to purchase is the image quality. A camera can have all the extra bells and whistle but if in the end, the photos don't have phenomenal quality, nothing else matters. 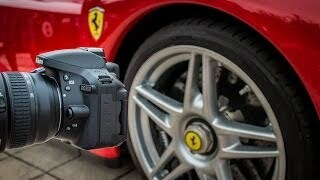 Compared to many higher priced cameras, the D5300's images are comparable, if not better in terms of quality. The color and saturation are exceptionally good quality compared to other cameras in any budget. When comparing a photo shot between the 5800E and the 5300, at a low ISO you will barely notice a difference. The auto focus point coverage is far more spread than on any other full-frame sensor camera. It extends completely from left to right and top to bottom. Compared to any full frame camera, it covers at least double the area which is a huge advantage when shooting photography. On other cameras, including the 5800E, it would always be necessary to leave the focus point stuck on Center due to poor coverage of auto focus, but not on the D5300. It covers the frame very well although there is still a small amount of room for improvement. On older versions of Nikon cameras, there was no built-in GPS so the need to purchase a GP-1A was an extra cost as well as another clunky device to carry around. The internal GPS on the D5300 eliminates this extra cost and alleviates the cumbersome extra component. It works great in even somewhat remote locations and hooks up fairly quickly. This is a great feature to have, especially if you are into geotagging. Keeping the GPS feature on for extended periods of time will drain the battery faster, especially if you are using the flash often so purchasing a spare battery wouldn't be a bad idea. Landscape photography, portraits, still life, macro, and time-lapse photos are the best type to shoot with this particular camera. It is a beast in terms of Center auto focus point but does not do as well with action and sport shots or tracking your subject. Printed photos as large as 3' x 2' still prove to hold the intense colors and quality of small 4" x 6" printed photos with no ugly pixelation. The Nikon D5300 was first released in India back in December 2013. Since then, the price of the Nikon D5300 in India has dropped from over ₹ 52200 down to only ₹ 45200 and can be purchased at that price from Souq. There are multiple other stores with prices as high as ₹ 69600 such as Tejuri, MYGSM, Saletab, and Offer Bank. The d5300 cmos dslr camera with 18-55mm vr ii lens (black) + 55-200mm f 4-5.6g ed if af-s dx vr lens + 32gb green's camera bundle 5 Digital Camera is manufactured by Nikon and was added around July 2018. 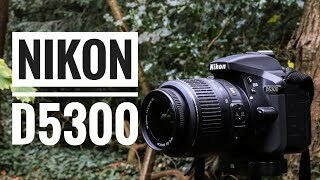 The best price for the Nikon D5300 CMOS DSLR Camera in India is ₹ 105473 sold at Amazon and available with free shipping and delivery within 2-14 business day . 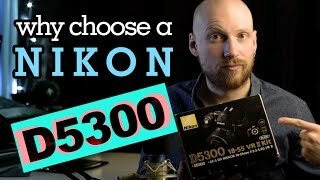 Nikon D5300 Kit - Ideal DSLR for Beginners? 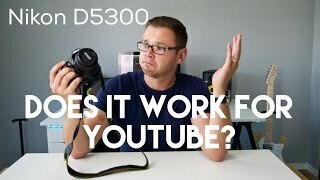 Nikon D5300 Review - Does it YouTube? 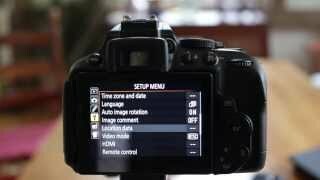 Nikon D5300 Review of Wifi and GPS Features.